JERICHO, N.Y. (June 26, 2018) -- Michael Graboyes of Watchung Valley fired rounds of 69-70 on Tuesday at Meadow Brook Club to capture the 63rd Ike MGA Stroke Play Championship Presented by Callaway. 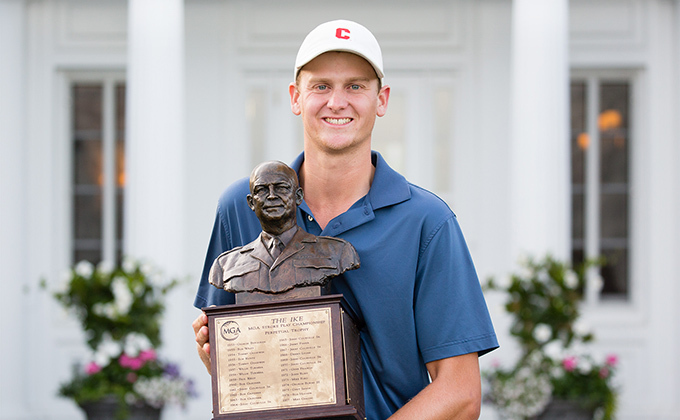 Graboyes entered the final 18 holes trailing Chris Gotterup by four shots, but carded a 3-under 33 on his final nine to come from behind and capture the title by two shots. Graboyes had his brother, Luke, on the bag, one year after the duo claimed the Ike Team title at Century. A full story to come later this evening.